Anyone want to meet and eat and tweet…with meat? Oh wait, can meat tweet? Maybe if it’s chicken. What I meant to say is, come join in on the Rodizio Grill Tweetup! This Monday evening, May 23rd 2011, the Salt Lake City location of Rodizio Grill in Trolley Square will be hosting a #RodizioTweetup. From 7-9 pm, enjoy a specially priced 4 course meal with dessert for only $19.99 per person. Dinner, without dessert, is regularly priced at $24.99. 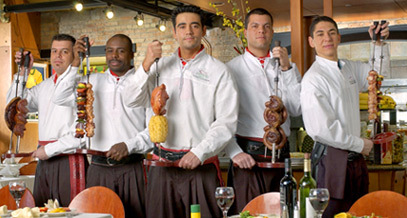 Rodizio Grill was my first experience with Brazilian churrascaria. I went on date date with a boyfriend, and it was my first time meeting his parents. I struggled with the inner turmoil of eating everything I wanted, and acting sensible and eating like a lady. At first the thought of giant slabs of meat being carried around with a big knife sounded a little strange, but one bite of Linguiça and I was a believer. The Abacaxi grilled pineapple was one of the most glorious things I had ever put in my mouth. Top it off with some Guarana Antartica, and you’ll have a meal you’ll never forget! If you want to follow the event on Twitter, follow @rodiziogrill and the hashtag #RodizioTweetup. 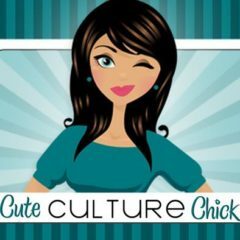 In order to get this special deal, let them know that Cuteculturechick/@cuteculturechic sent you! Offer is only valid this Monday night. Bring a date, bring your kids, and enjoy a night of good food and good company. Because really….do you want to pass up a dessert like this?